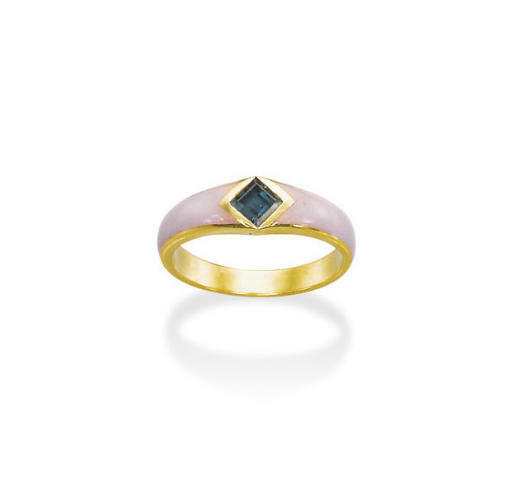 This ring is set with an alexandrite, marks this as a quintessentially Russian jewel. The gem was discovered in the Ural Mountains in the early 1930s, purportedly on the day of the coming of age of the young Tsarevitch Alexander II, and was so named in his honour. These original Russian deposits were the first locality for this rare colour-changing stone, and although they only produced for a few, short-lived years, gained a long-term reputation.